This transmitter is designed for use with your upgrade remote start unit and is programmed by using the remote start's program switch in combination with the transmitter button. 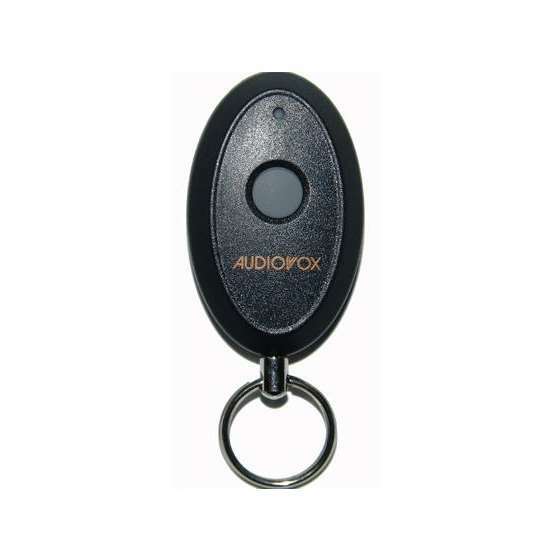 Although this transmitter can be programmed into any of the Audiovox remote start and or alarm, alarm remote start system, it will offer limited use and should be used for the remote start upgrade only. 3) Press and hold, for 3 seconds, the button of the transmitter you wish to add until the parking light flashes indicating the transmitter has been learned. 4) Repeat step 3 for each transmitter up tp a total of 4. Turn the ignition off to exit the program mode. NOTE: Do not allow more than 15 seconds to lapse between steps or the program mode will be automatically exited and you will have to start over.